Explore the underwater world with a skip-the-line admission ticket to the SEA LIFE Aquarium at Lake Constance (Bodensee). Feed the fish of the lake and learn about which animals can be found under the water. Avoid long lines and head straight inside to learn about the North Sea’s inhabitants such as sharks, flatfish, rays, and more. 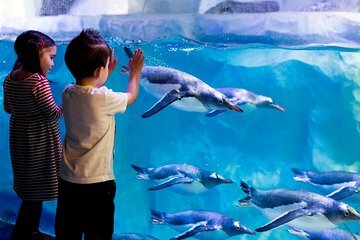 Observe Gentoo penguins, learn underwater facts, and meet Werner, the wreck, at this all-ages aquarium.